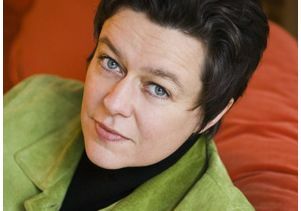 Laure Murat, an associate professor of French and Francophone studies at UCLA, has been named a 2012 Guggenheim Fellow. She and 180 other fellowship recipients nationwide were selected from a group of nearly 3,000 scholars, artists and scientists on the basis of "prior achievement and exceptional promise," according to an announcement by the foundation. "These individuals represent the best of the best," foundation President Edward Hirsch said. Murat, UCLA's sole Guggenheim Fellow this year, plans to use the fellowship grant to spend a year in Europe conducting research for a new book. Tentatively titled "Women as Symptoms, or Madness at Work," the book will explore "how madness and creativity together are at work inside a family with a member who is succumbing to mental illness," she said. Cases to be examined include James Joyce's daughter Lucia, Victor Hugo's daughter Adèle and Auguste Rodin's associate, protégé and lover Camille Claudel. Murat's work during the fellowship period will take her to archives in France, the United Kingdom and Belgium. "I am especially honored to be awarded the Guggenheim Fellowship and very appreciative about the American system in general for its great tradition to encourage innovative research," said Murat, who was educated in France. Murat's research interests include 19th- and 20th-century French literature, French cultural history and the history of psychiatry. She came to UCLA in 2006 as an assistant professor and received tenure in 2009. Her most recent book, "L'Homme qui se prenait pour Napoléon" (The Man Who Mistook Himself for Napoleon), was published in French by Gallimard in 2011. Based on previously unpublished archival materials from the 19th century, it explores the relationship between ideology and pathology in an attempt to understand how political events such as revolutions and the advent of new systems of government affect mental health. The book was awarded France's prestigious Femina Prize for non-fiction. 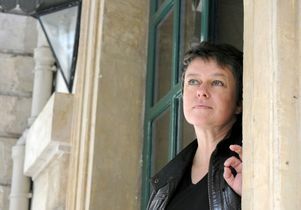 Her 2001 book, "La Maison du docteur Blanche" (The Clinic of Doctor Blanche), was also well received, winning the Goncourt Prize for Biography. The book tells the story of two generations of 19th-century French psychiatrists who took care of various writers, artists and patrons, including the Romantic poet Gérard de Nerval, the composer Charles-François Gounod, the short-story writer Guy de Maupassant and artist Vincent van Gogh's brother Theo. At UCLA, Murat teaches 19th- and 20th-century French literature and a course on the cultural history of Paris. She also has given graduate seminars on Michel Foucault's "Madness and Civilization," Marcel Proust and homosexuality, and Romanticism and Realism. 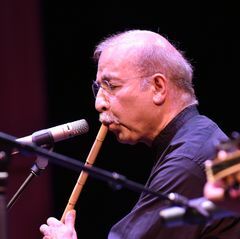 Murat is a music lover and plays the clarinet as a hobby. She is organizing a series of music conference–performances with Tamara Levitz, a UCLA professor of musicology, and violinist Guillaume Sutre, a UCLA professor of music. The series will explore the relationship between literature and music and will start with a session dedicated to Proust's relationship to music. The first session is expected to take place in fall 2013. Since its establishment in 1925, the John Simon Guggenheim Memorial Foundation has granted more than $295 million in fellowships to more than 17,300 individuals. The foundation strives to "add to the educational, literary, artistic and scientific power of the country."